KAMPUNI ya Acacia imetoa taarifa ya mabadiliko ya uongozi wake kupitia mtandao wake ambapo Mkurugenzi Mtendaji, Brad Gordon na Mkurugenzi wa Masuala ya Fedha, Andrew Wray, wameelezea nia yao ya kujiuzulu katika kampuni hiyo japokuwa watabaki hapo mpaka mwisho wa mwaka huu ili kurahisisha mabadiliko yatakayofanyika. Brad atarudi Australia kwa sababu za kifamilia ilhali Andrew anafuatilia fursa sehemu nyingine. Bodi inataarifu kuteuliwa kwa Peter Geleta kukaimu nafasi ya Mkurugenzi Mtendaji na Jaco Matirz anachukua nafasi ya Ukurugenzi wa Fedha. 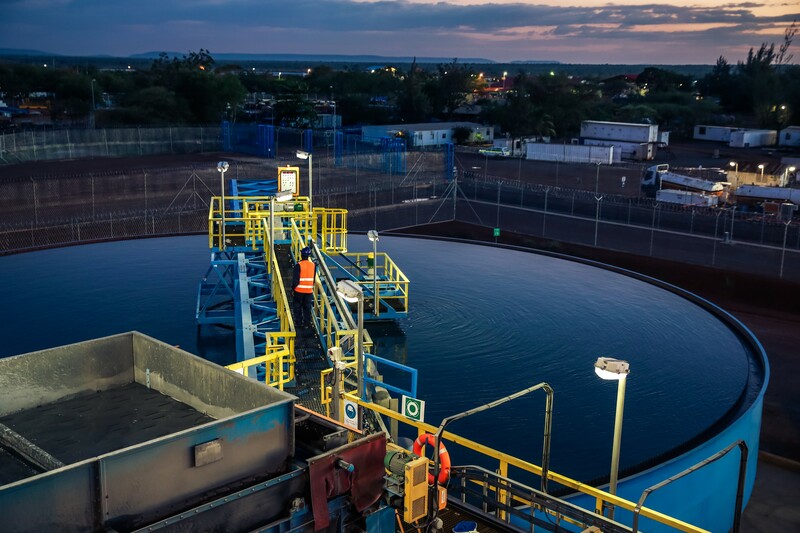 Acacia would like to advise the market that Brad Gordon, Chief Executive Officer, and Andrew Wray, Chief Financial Officer, have separately notified the Company of their intention to resign from their positions. Both Brad and Andrew will remain with the Company until the end of the year to ensure a smooth transition. Brad will be returning to Australia for family reasons, while Andrew is pursuing an opportunity elsewhere. Concurrently, the Board is pleased to announce the appointment of Peter Geleta, currently Acacia’s Head of Organisational Effectiveness, as Interim Chief Executive Officer. Jaco Maritz, currently Acacia’s General Manager, Finance, will be appointed Chief Financial Officer. Both appointments will be effective from 1 January 2018. Peter (54) has 35 years of mining industry experience in both operational and corporate leadership positions, primarily in Africa. Prior to joining Acacia, Peter held senior roles at AngloGold Ashanti (25 years) and Barrick Gold Corporation (“Barrick”). He joined Acacia in May 2012 as Vice President, Organisational Effectiveness. Since then, Peter has been a key member of the Executive Team of Acacia and an integral part of the Company’s turnaround. During his time with Acacia, Peter has also served as General Manager of the Bulyanhulu mine and helped lead the successful restructuring of the business. Peter holds an Executive MBA qualification from the University of Cape Town. Jaco (42) has been with Acacia and its predecessor companies since 2001 in a range of increasingly senior finance roles covering all aspects of the finance function. He was initially employed by Placer Dome, which was acquired by Barrick in 2006, and was part of Acacia at its inception. In 2013, Jaco spent six months acting as Chief Financial Officer for the business, prior to the appointment of Andrew. Jaco is a member of the South African Institute of Chartered Accountants. In addition to assuming the role of Interim CEO, Peter will also replace Brad on the Board of Directors at the end of the year. As a result, the Board will continue to consist of 7 Directors, with 1 Executive Director, 4 independent Non-Executive Directors and 2 Non-Executive Directors. Commenting on the changes, Kelvin Dushnisky, Chairman of Acacia said, “Brad and Andrew have been instrumental in the operational and financial turnaround of Acacia over the past four years and on behalf of the Board and the Company, I would like to extend our sincere thanks to both of them for their contributions. We wish them all the best for the future. We are equally confident that Peter and Jaco will move seamlessly into their new roles. Peter’s demonstrated leadership skills, combined with his all-around abilities and strong experience across all aspects and all levels of the African mining industry will be an important asset for Acacia.